Happy Friday!! I am especially happy because I am taking my yearly trip to NJ to visit the fam, including my favorite ladies Cousins Lauren and Theresa. Here they are in all their gorgeous glory at my wedding a few years back. And guess what? They come back for their annual summer trip to Charlotte for the 4th of July. Double Dose of cousin time! I'm looking forward to family time, great belly laughs, amazing Italian food and meeting my cousin Dave's new baby girl Serina! 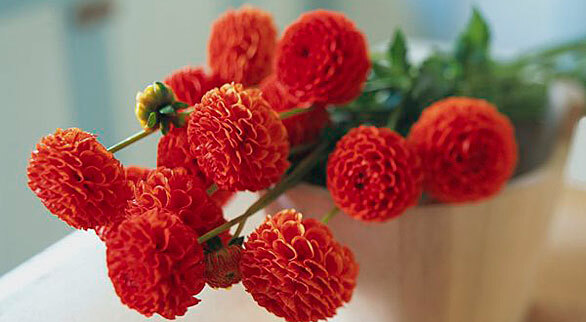 While I'm gone, check out my new Tablespoon article about arranging flowers. Have a good trip Jackie! Tell Counsins Lauren and Ther that I said hello.